From the hit wacky 1966 Batman TV Series! This Batman 1966 TV Series Pop! 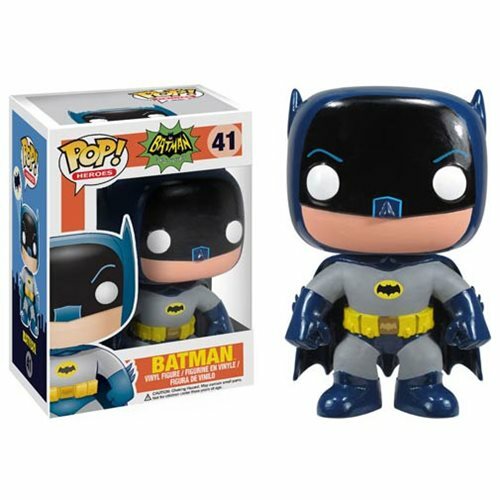 Vinyl Figure features the Caped Crusader himself (as played by Adam West), rendered in the adorable Pop! Vinyl format. Measures 3 3/4-inches tall. Ages 5 and up.